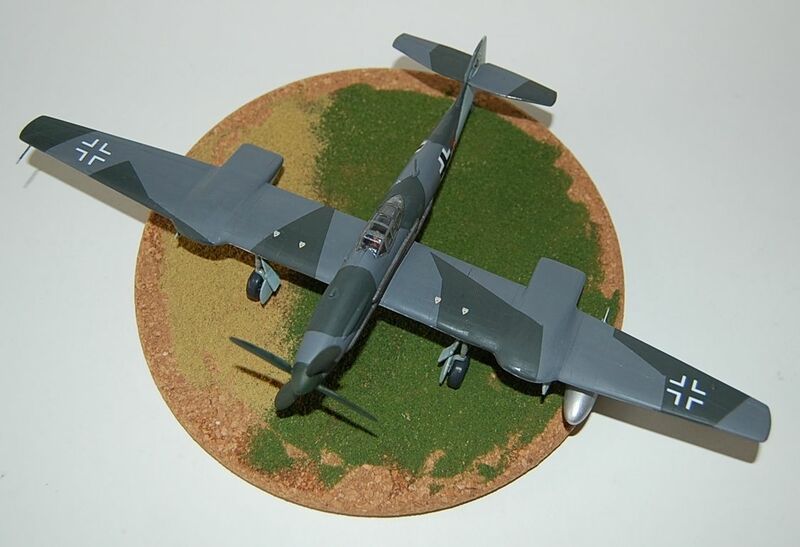 Blohm Voss BV 155B of Special Reconnaissance Group Aachen late 1944. 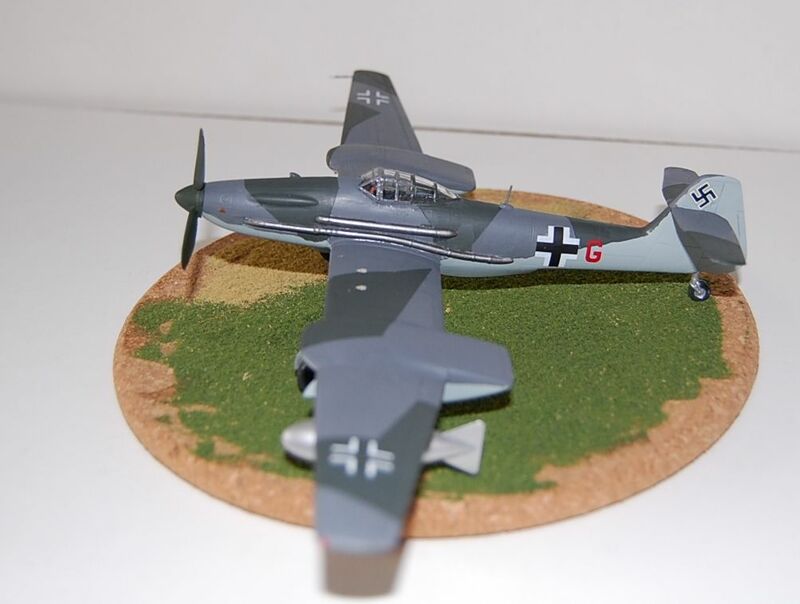 Originally starting life as a Messerschmitt project its development was eventually taken over by Blohm and Voss and was intended as a high altitude fighter capable of intercepting the USAAF’s B-29 bombers. However Richard Voght considered the aircraft to be so poorly designed that he completely redesigned it which resulted in even more delays to the project. However in July/August 1944 two prototypes were completed and the hastily converted into high altitude reconnaissance aircraft by the installation of a Rb 50/30 camera behind the cockpit and the provision of a hastily converted underwing camera pod which could carry a variety of different cameras and their lens attachments. 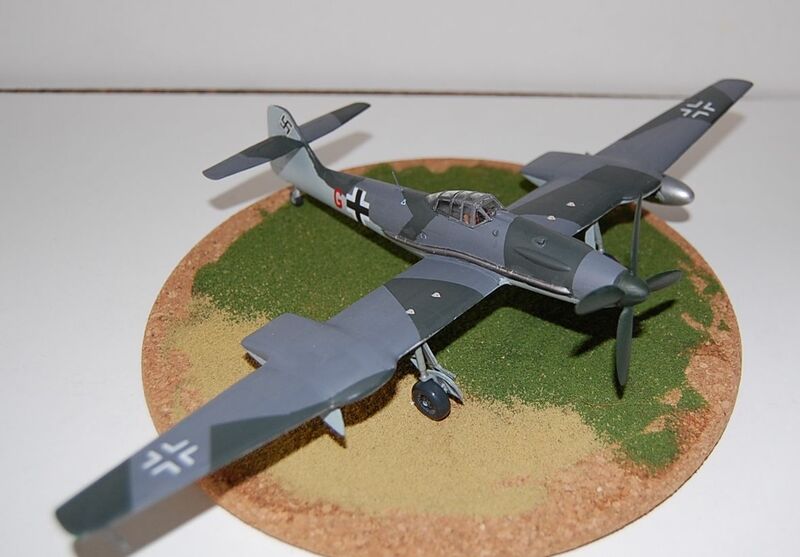 This was converted from spare Me110 “drop tanks”. Despite the fact that this camera pod reduced the aircraft's operational altitude from a projected 50,000 feet to nearer 47,000 feet this still rendered the type virtually invulnerable to interception as the allies had nothing, especially in theatre, with which to intercept them. Thus they proceeded to operate over the Port of Antwerp keeping an eye on what the Allies were bringing in and also providing after action damage reports for the large number of V1’s and V2’s which were launched against the city. However in the end it was this seeming invulnerability which caused the downfall of the operation. The Luftwaffe’s operations became so regular that the RAF could almost set their watches by them. Thus 4 Westland Welkin’s were flown over from the two squadrons operating them in the UK and a trap was laid. The Welkin could reach the necessary altitude with some modification and thus on one bright December morning a pair of them were waiting for the regular interloper. After what one of the Welkin pilots latter described as a rather strange, slow motion, balletic combat the 155 was eventually shot down and this ended the types operations over the city. The remaining aircraft was withdrawn and apart from some sorties over the Ardennes saw no further action. It was eventually captured by British forces south of Hamburg in April 1945. 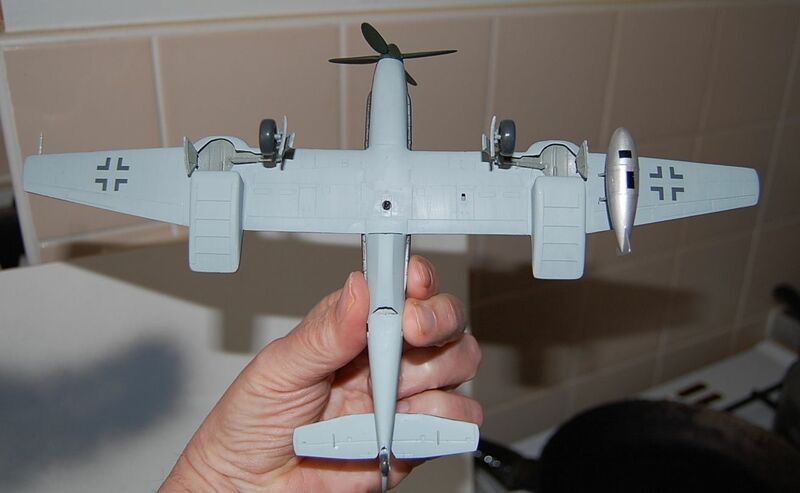 This is the Special Hobby kit of the prototype and it goes together brilliantly. I can’t praise its fit and ease of assembly high enough. Transfers are from the kit and the spares box, whilst the paints are my usual Xtracrylic and Humbrol. Special Hobby now do the planned fighter version boxing of this aircraft and I may well be getting it I enjoyed the build that much. Very nice Chris, I live the long wings (naturally......) and the PR conversion. Unlike our friend above, I'm not a major fan of very long wings but, still, a good build is a good build. Very cool, I like the simple RLM 74/75/76 splinter scheme a lot. Yes, I think it works on this build particularly well for some reason. Have no fear, you'll soon get used to it. Great build Chris. Looks fab.